Disclosure: PAM Cooking Spray sponsored this blog post. The opinions and text are all mine. A friend of mine was asking people on Facebook about what they struggle with the most on a day-to-day basis. The majority of the responses, including mine, was TIME. I found myself nodding my head in agreement as I reading everyone’s comments. I often feel rushed and like there is never enough hours in the day to get everything done! That is one big reason why I’m always looking for valuable ways to save myself time wherever I can. Saving time in the kitchen is high on my priority list. I spend lots of time in the kitchen whether its cleaning, prepping meals or baking. I’m all ears anytime someone mentions the term “kitchen hack”. I love to learn easy ways I can cut down on my minutes (and hours sometimes) in the kitchen and get back to spending time with my family. 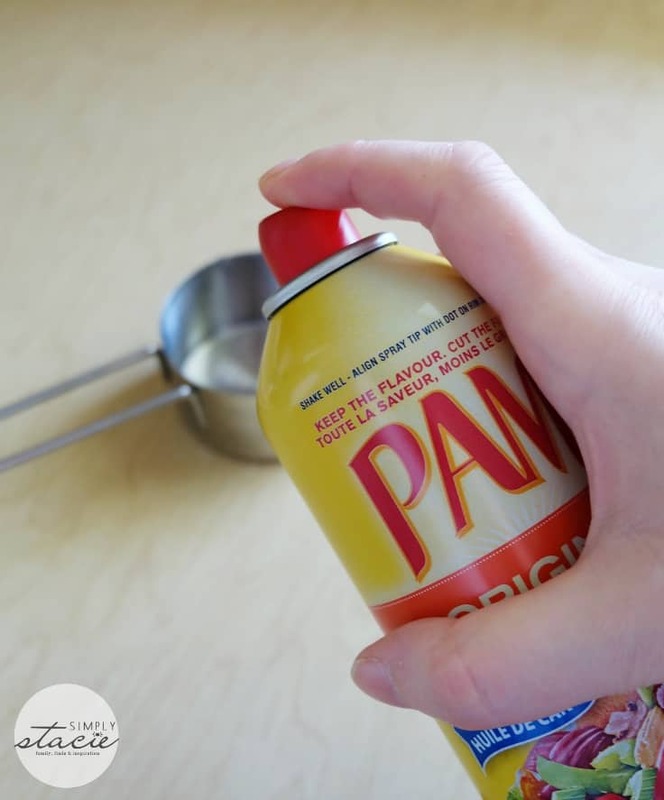 One product to keep in your pantry is PAM Cooking Spray. I use it every time I’m cooking or baking and need to grease a pan or pot. This versatile product also has many other ways it can be used in the kitchen from cooking to baking to grilling! I remember the first time I tried a PAM Cooking Spray baking hack. It was like a light bulb went off in my head. I thought to myself that it was SO much easier than the way I’d been doing it before. 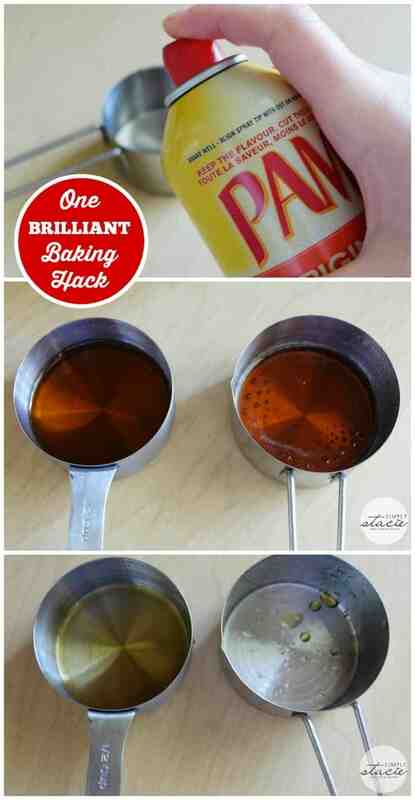 Maybe you already use PAM Cooking Spray in this way, but if you don’t, prepare to be impressed! It’s quite a simple trick. 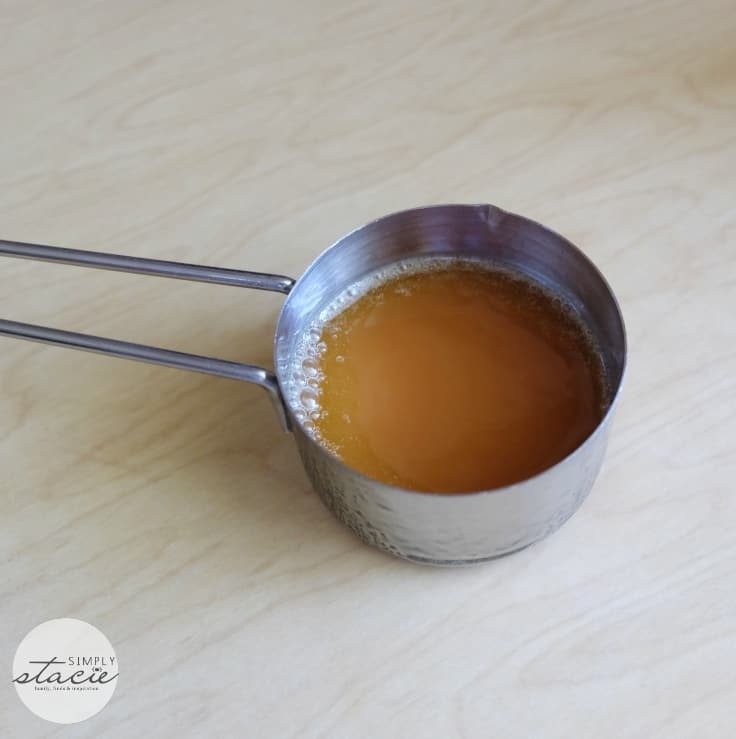 Next time you are baking and have to measure a sticky ingredient like honey or maple syrup in a measuring cup, do this FIRST: spray your measuring cup with PAM Cooking Spray and then add your ingredient. 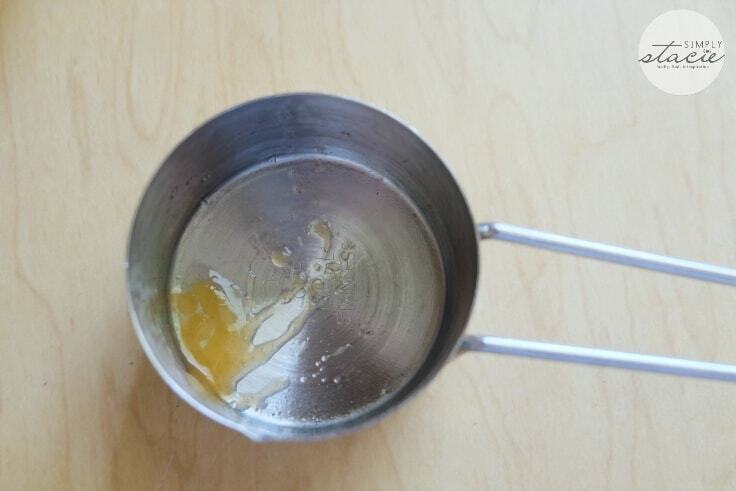 Your sticky ingredient will slide right out of the measuring cup leaving barely, if any, sticky residue! 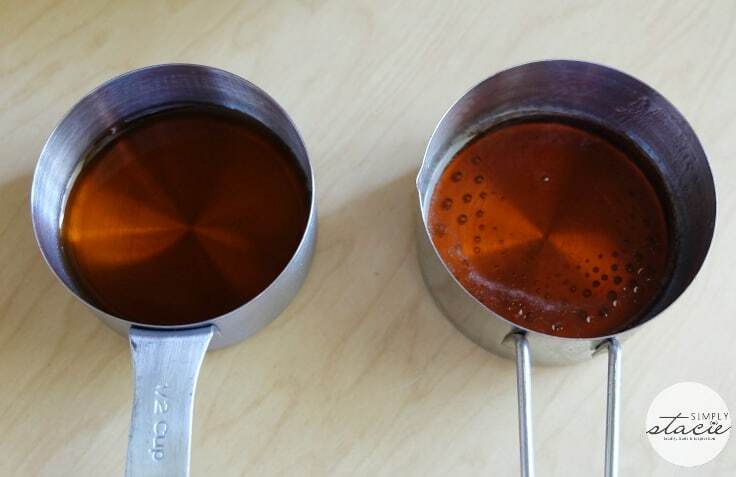 If you’ve ever measured honey, corn syrup or even caramel in a measuring cup, you’ll know the kind of mess it leaves. It seems like a 1/4 of it stays stuck to the cup. Usually you’ll need to soak that cup to get the rest of it cleaned out. When you spray with PAM Cooking Spray first, there is less waste and it’s a lot easier to clean. No soaking required. Let me demonstrate with some maple syrup which will all know is a sticky mess! 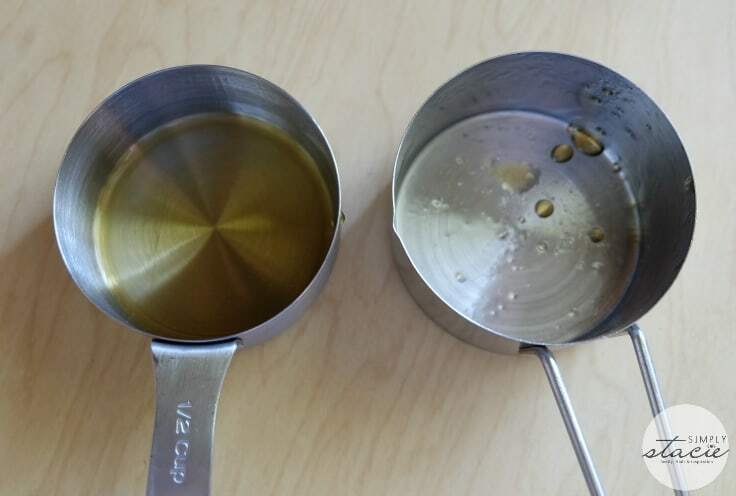 The measuring cup on the right is coated with PAM Cooking Spray while the one on the left is just a regular measuring cup. Check out the difference when you empty them out! The one with PAM Cooking Spray is almost clean while the one on the right with nothing still has quite a bit of maple syrup coating the bottom and side. PAM Cooking Spray leaves 99% less residue than margarine or bargain-brand cooking sprays so your dishes will turn out great and you’ll spend less time cleaning up. Now you can see why it’s good to always keep it on hand! Use PAM Cooking Spray over an open dishwasher. This way it will catch any overspray. Spray your metal cheese grater with PAM Cooking Spray to prevent cheese from sticking to the sides. Spray PAM Cooking Spray on your plastic wrap before covering cake or cupcakes. It will prevent the frosting from sticking to the wrap and ruining your dessert. For more cooking tips and recipe ideas, visit PAM Cooking Spray and connect with them on Facebook and Pinterest. 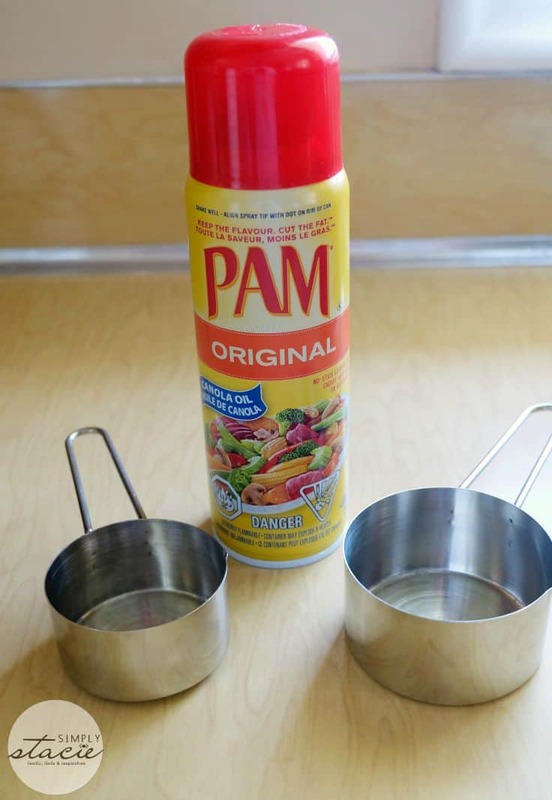 Do you use any PAM Cooking Spray hacks?